Basic research is fundamental to our understanding of how the nervous system functions in health and disease, and provides the platform for developing more effective therapies for neurological disorders. 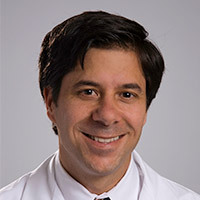 The department of neurology encompasses a wide range of basic science studies, utilizing a variety of complementary techniques to examine the underlying molecular and cellular mechanisms of neuronal function. The extensive collaboration between our clinical researchers and basic scientists drive our commitment toward the development of better therapeutics for such devastating neurological disorders such as Huntington's and Parkinson's diseases, epilepsy, stroke, head trauma, and many others. Understanding the fundamental processes by which neurons regulate their function in disease and health will ultimately lead to more targeted and effective treatments for many devastating disorders. The Mody lab contributes to our understanding of the neuronal dysregulation involved in such diverse conditions as stroke, head trauma, epilepsy, and many neurodegenerative disorders. The principal area of interest is how the brain maintains the delicate balance between excitation and inhibition, the perturbation of which can lead to numerous brain disorders. By exploring the role of GABA (a major inhibitory neurotransmitter in the brain), the fundamental processes that lead to disorders such as epilepsy, postpartum depression, premenstrual syndrome/ premenstrual dysphoric disorder (PMS/PMDD), and stress-related anxiety, are coming to light. We have recently discovered that a tonic form of GABA-mediated inhibition hinders the plasticity of the brain that is required for recovery of function after stroke. Thus a new therapeutical target for stroke recovery is in sight. The mission of our laboratory golshanilab.neurology.ucla.edu is to discover how changes in the excitability and connectivity of neuronal ensembles results in autism and developmental epilepsies. By finding the specific microcircuit elements causing network dysfunction we hope to discover new treatments that will improve the lives of children suffering from these conditions. By looking at multiple models of these diseases we hope to find convergent evidence for shared physiological causes for these disorders. In our search for disease-related changes in neuronal network function we will also uncover how the healthy brain processes sensory information, lays down and erases memories, and makes decisions. To make our discoveries we use simultaneous in-vivo two photon calcium imaging and in-vivo patch clamp recordings in awake behaving developing and adult model animals. These techniques allow us to record activity of large identified ensembles of cortical neurons as these animals perceive sensory information and make decisions. We hope to combine these techniques with optogenetic tools to manipulate the activity patterns of specific interneuronal subtypes. The Center for the Study of Parkinson's Disease (CSPD) is the major basic research unit dedicated to addressing the unmet demand for treatments that halt or even reverse the course of the disease. One of the nation's leading centers for basic and translational research on Parkinson's, the CSPD is a collaborative effort among faculty from the Neurology department with colleagues in other departments and Schools at UCLA. Research projects in the CSPD range from studying the effect of genes and environment in humans, animal, and cellular models, to understanding the role of molecular and cellular factors in neuroprotection and neurodegeneration.